WASHINGTON — The Supreme Court has thrown a hitch into President Barack Obama's new health care law by blocking a requirement that some religion-affiliated organizations provide health insurance that includes birth control. Justice Sonia Sotomayor decided late Tuesday night to block implementation of the contraceptive coverage requirement, only hours before portions of the law would have gone into effect on New Year's Day. 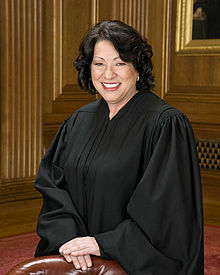 Sotomayor gave government officials until 10 a.m. EST Friday to respond to her order.